Enhance your enjoyment of great music with Symphony Nova Scotia’s free “Symphony 101” classes! Learn about music, orchestras, composers, and more in a relaxed, accessible format at the Halifax Central Library. Classes are led by well known music lecturer Adrian Hoffman, a Dalhousie University instructor and former CBC Radio host. Each class will also feature Symphony Nova Scotia musicians, who will give up close and personal perspectives on their instruments and their roles as professional musicians. All classes are one hour long, and free of charge for all ages. Back by popular demand, I will be joined by Symphony Nova Scotia trumpet player Curtis Dietz. We will continue to talk about the brass section of an orchestra and how it interacts with all the other instruments, providing colour and drama to orchestral music. Symphony Nova Scotia Bassoon Chris Palmer returns to Symphony 101, but this time as a composer/arranger! 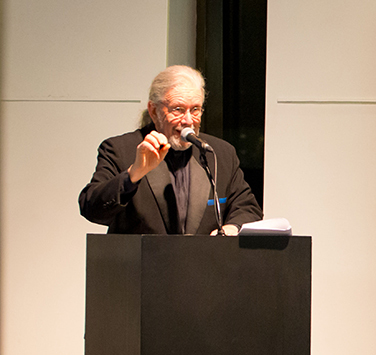 Hear the longtime composer talk about the creative process in Composing for a Symphony Orchestra. Where does a composer get his ideas and how does she or he decide who does what? Adrian Hoffman hosts this musically illustrated lecture and discusses Mozart. Joining Adrian will be guest artist Peter Allen. Peter is a pianist, teacher, conductor, and composer who teaches at the Fountain School of Performing Arts at Dalhousie University. Peter is a frequent guest soloist with Symphony Nova Scotia. Take notes! The two best “students” will take home a pair of tickets to our performance of Mozart’s Great Mass in C Minor!